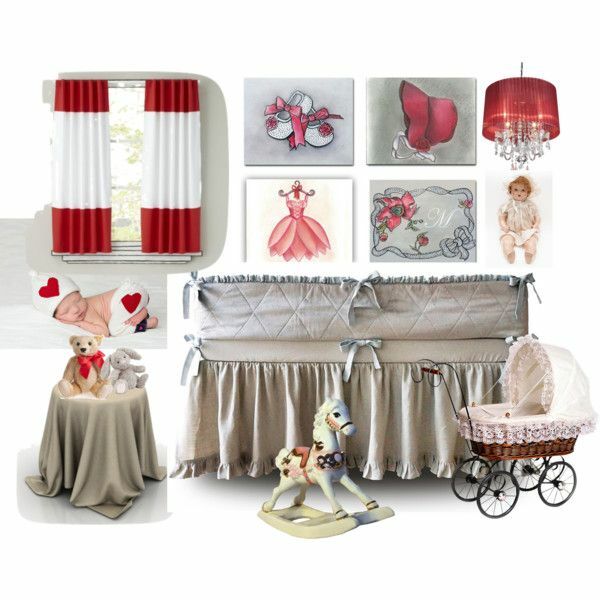 Oh my friends i'm sure that you love this baby girl nursery, especially if you are a a lover of shabby shic style. 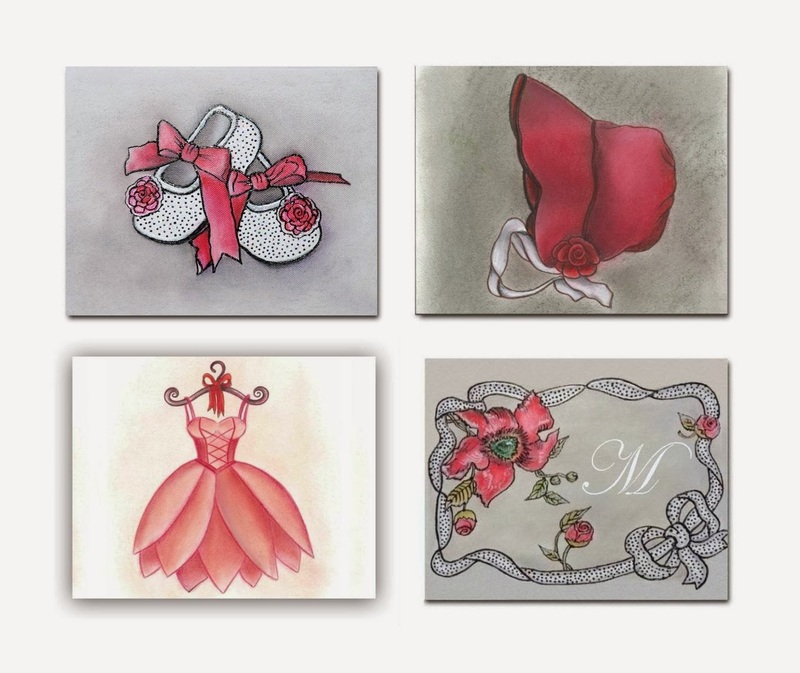 This set of 4 Art Prints, is a beautiful reproduction of my original Artwork for children. I painted this adorable red bonnet and these tiny cute baby shoes for a little girl and i matched this set with the wonderfull ballet dress and the baby's monogram that likes embroidery like the one of my beloved grandmother. I choose red and grey color shades because my opinion it is a timeless combination for all the ages of a child, from a baby to a toddler girl. I believe that you are going to love the result as mutch as i do! This lovely SET OF 4 Art Prints ''Ballet Dress, Ballet Shoes, Red Bonnet and Monogram'', is a beauiful reproduction of my ORIGINAL Hand Painted Artwork for Baby Nursery Kids room !